He received his J.D. from the University of Colorado in 1988 and his B.A. in English from Colorado College in 1984. He has over twenty years experience in criminal defense, handling trials, appeals, and post-conviction matters. He is proud to have served as a Deputy State Public Defender in the Montrose and Golden offices from 1988 until 1993. Since leaving the Colorado State Public Defender's Office, he has maintained a solo practice in Denver, emphasizing State Court criminal defense. Mr. Canney has been involved in several death penalty cases, and in 2005, he received the Jonathan Olom Award from the Colorado Criminal Defense Bar for "remarkable personal sacrifice made without regard to personal gain in the defense of the accused." Mr. Canney maintains an "AV" rating by Martindale Hubbell, which is the highest ethical and professional rating awarded by this national recognized rating directory and was selected as a "Colorado Superlawyer" in 2007 , 2008, and 2009. He handles all criminal cases from serious felonies to misdemeanor and traffic cases. Law School: University of Colorado at Boulder, J.D. Member: Colorado Criminal Defense Bar Association; National Association of Criminal Defense Lawyers. Biography: Recipient, 2005 Jonathan Olum Award, presented by the Colorado Criminal Defense Bar Association. Recipient, 2005 Jonathan Olom Award, presented by the Colorado Criminal Defense Bar Association for "remarkable personal sacrifice made without regard to personal gain in the defense of the accused." 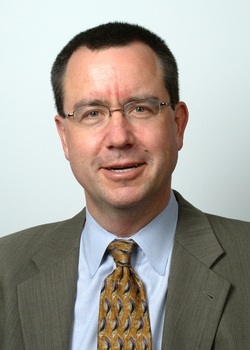 "Colorado Superlawyer" in 2007, 2008, and 2009. "AV" rating by Martindale Hubbell, which is the highest ethical and professional rating awarded by this national recognized rating directory. Experience: Has handled over 130 criminal jury trials, of which half were felony trials. Has also handled approximately 40 appeals of criminal cases in the State Appellate Courts and numerous complicated post-conviction motions. Further, has tried first degree murder cases to verdict and one death penalty case through verdict and three judge panel sentencing. He has also been accepted as an expert witness in criminal defense on 8 occasions in the Colorado State Courts in Jefferson, Adams, Douglas, Denver, Rio Grande, Lincoln and Delta counties and has lectured on various criminal defense topics for continuing legal education programs. Personal Interests and Accomplishments: Nationally ranked chessmaster and many time chess champion of Colorado. Finished several Ironman Triathlons and other endurance events.